Hello everyone! It's my turn to post over at Twine It Up! with Trendy Twine today. 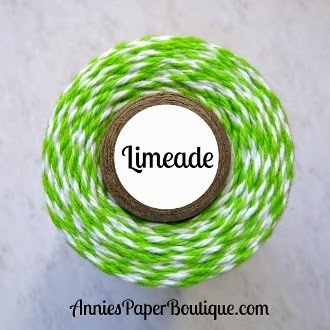 We are showcasing the fabulous Limeade Trendy Twine and the fun Kraft Gable Boxes this month. Make sure to head over there to see all the fun projects! This is so super ADORABLE Helen!! LOVE that cutie turtle! 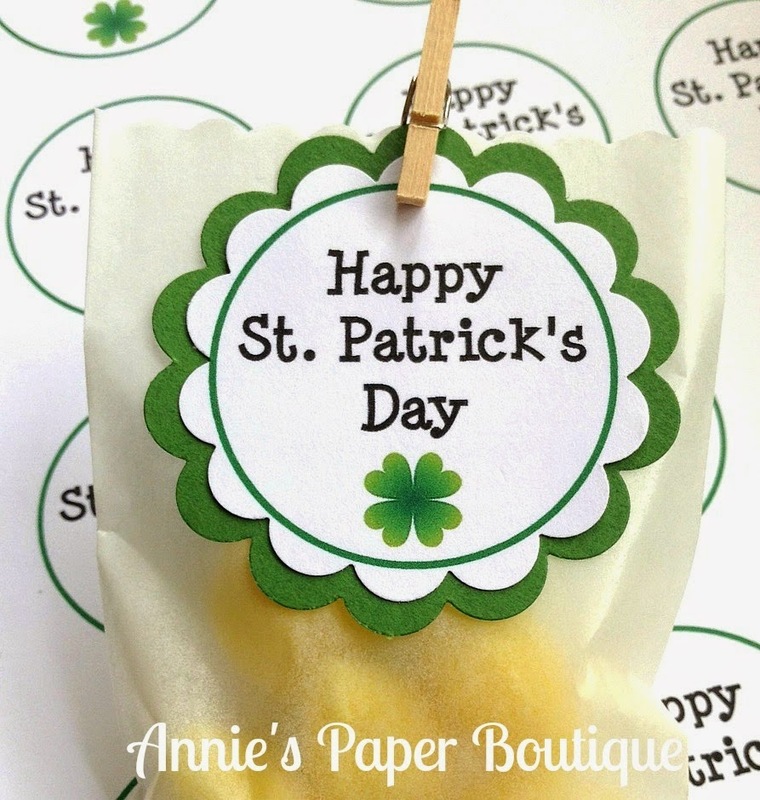 Such a great way to use all of those products from Annie's Paper Boutique! Wonderful! I totally adore this! It's funny, I just ordered this cart this weekend. Now I can't wait to play with it! Love this so much! 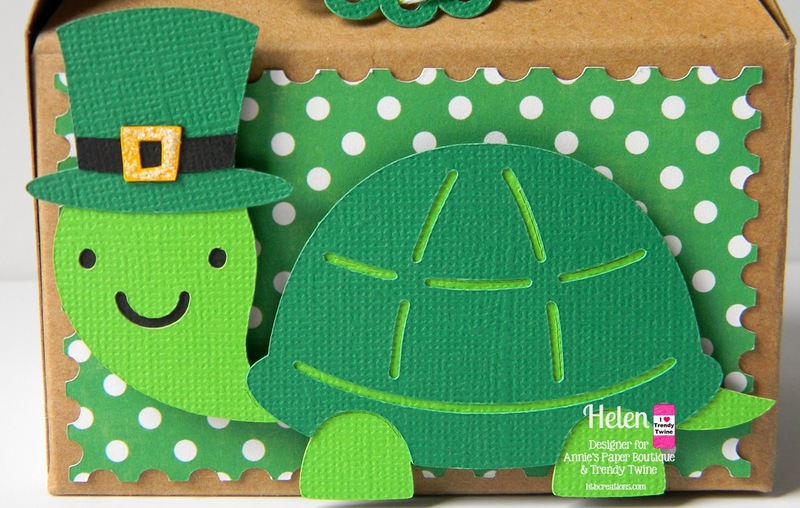 Totally cute and Super fun!Love the cute turtle! 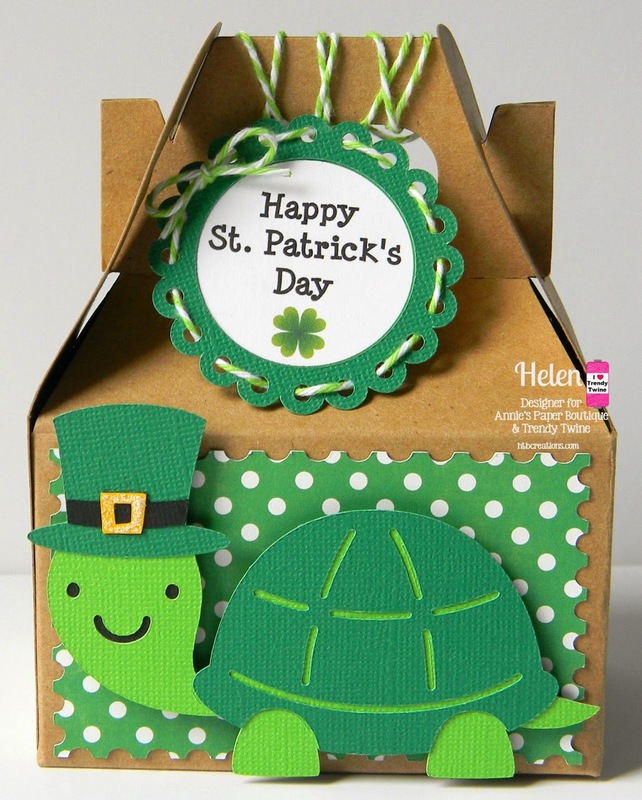 Oh Helen what a prefect little turtle for St. Patty's Day! 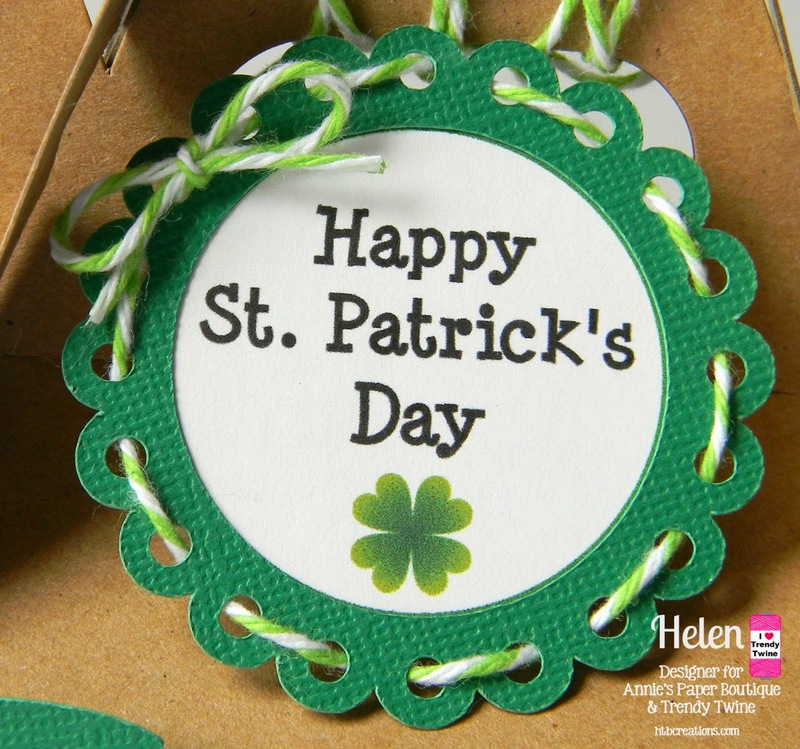 I love the twine with the scalloped circle! 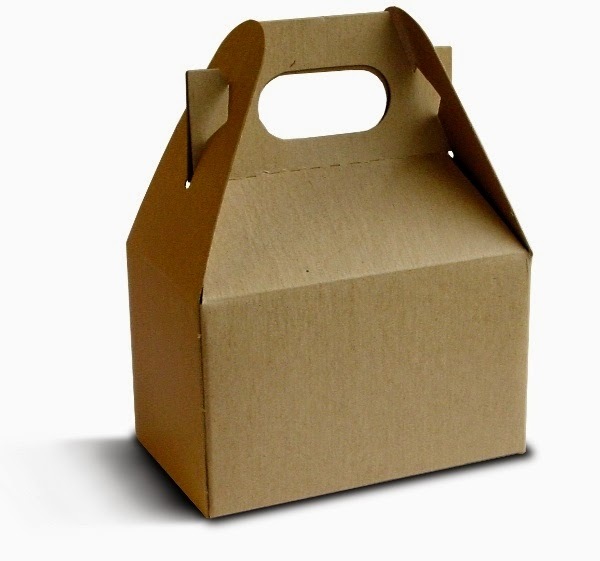 Adorable gable box, that turtle is the cutest! Super fun tag too!